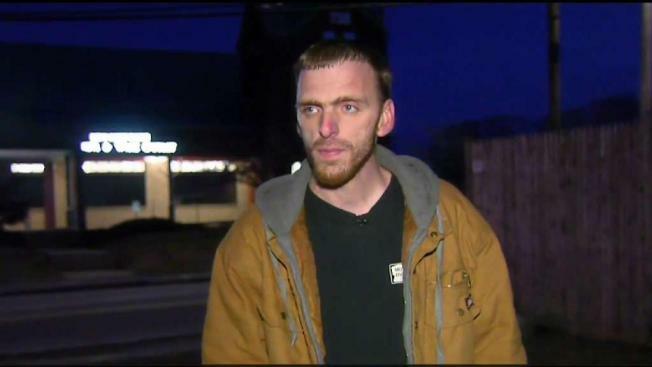 Ian Kelley, an Uber driver from Portsmouth, New Hampshire, helped stop a drunk driver from causing any more damage on New Year's Eve. An Uber driver has been suspended after he says he stopped a drunk driver from threatening a motorist on New Year's Eve. Ian Kelley told NBC10 Boston he was notified by Uber that his account has been suspended while the company looks into the situation. "We are investigating a report from a recent trip. Your account has been placed on hold while we look into this report," read a partial email from Uber to Kelley. Portsmouth Police said Aaron Marconi was intoxicated while driving near downtown Portsmouth, and that he crashed into several cars and businesses, ending up in a restaurant parking lot. Kelley had been driving for Uber that night when he saw the suspect lose control of his pick-up truck and pulled over to help. "At first, I got out with the intention to check on the individual just to make sure he wasn't injured or having a medical condition," Kelley said last week. "The way he was driving it looked like he may have been having a stroke behind the wheel." Kelley got out of his car just as Marconi was allegedly threatening another good Samaritan who had also pulled over. "He said, 'I will kill you, get out of my way,'" Kelley recalled. Kelley said he then pulled out his gun to detain Marconi until police arrived. Uber told Kelley he should hear from someone soon regarding the situation.